← 299 "The Dad Who Knew Too Little"
The couch is a cardboard cutout with pictures of the family on it. There are holes where the pictures heads are supposed to be, so the family pokes their heads through the holes, each appearing to be one another. "The school does not need a regime change"
"The Strong Arms of The Ma" is the ninth episode of The Simpsons' fourteenth season. It is also the 300th episode of The Simpsons in production order. In broadcast order, "Barting Over" is the 300th episode while "Strong Arms of the Ma" is the 298th. "Marge takes up bodybuilding to boost her self-esteem after a mugging, but the family finds they just can't cope with a Marge that can bench-press 500 pounds." The Simpson family goes to Rainier Wolfcastle's "Bankruptcy Garage Sale", where everything that he owns is up for sale at throwaway prices. Homer asks Rainier if he has anything that will go up in value when he dies and is shown his old weight-lifting set, complete with dumbbells and bench press. Homer takes it and packs everything in the car in the style of a Tetris game. The car ends up being so overpacked that Homer ends up being carried home by Rainier Wolfcastle in an adult sized baby harness built for an adult. On the way home, Marge and the kids smell something awful. They pinpoint the source to Maggie. Marge quickly pulls into the Kwik-E-Mart, and Apu is reluctant about letting Marge use the restroom, but when he smells Maggie, he allows it. Later, as Marge comes out with a much sweeter-smelling Maggie, a shady character in a Goofy hat accosts her and threatens her with a gun. Finding only diapers in Marge's purse, he grabs Marge's pearl necklace and takes off. Marge, stunned, walks to her car in a daze and breaks down sobbing at the wheel in front of her kids. The next day, they inform the cops and Chief Wiggum declares he will get on it right away. Later, as Marge is about to leave the house, Homer gives her some pepper spray and some tips on how to handle an attacker. She pulls up to the Kwik-E-Mart, but she is scared when Ralph greets her. She pepper-sprays him, and feeling guilty, she drives back home where it's safe. When she reaches home, Bart tells her she is parked over the mailman. Marge is a nervous wreck and cannot bring herself to cross the threshold of her house. Homer and the kids try their best to encourage her to go outside, but to no avail. Finally, she moves into the basement. There, feeling a bit safer, she prepares breakfast for the family and sets up a bed for herself. One day, when she is alone at home, feeling bored but still afraid to venture outside, she eyes Rainier Wolfcastle's weight-lifting set and decides to use it to pass the time. In two weeks, she builds herself up and even gets a well-defined washboard stomach (much to Homer's delight). Suddenly, she dashes out to the garden to get some lemons. Realizing that she is not afraid anymore, she starts running around town in happiness. Suddenly, she runs into her mugger, who tries to assault her again. But this time, she beats him so intensely he is left a bloody mess. The cops arrive and arrest the crook. Marge, pumped after catching the crook, starts exercising even more. One day, as she jogs by an open-air gym at the beach, she runs into her next door neighbor, Ruth Powers. Ruth, pretty buffed herself, tells Marge that she owes it all to steroids. She talks Marge into using them, attacking her inability to stop trying to be stronger, and also attacking her wish not to be weak and helpless. She also advises Marge to enter a women's bodybuilding contest. Marge, using the steroids, exercises harder than ever, becoming heavily muscled. At the contest, despite her massive training, she wins second prize. This puts Marge in a bad mood. Later that night, at Moe's, Homer and a whole lot of other male Springfieldians are celebrating, Homer tries to calm the angry Marge down. Due to the steroids and other drugs, she has become extremely short-tempered and powerful, a recipe for disaster. After Homer goes to the bathroom, she gets mad at Moe for saying she isn't attractive anymore and proceeds to beat up everyone at the bar. Finally, when Homer comes out and sees the "Muscle Marge", he pleads with her to look inside her and find the sweet, loving Marge and to lay off the steroids. Marge, horrified with what she has done, apologizes and leaves with Homer. Moe, in order to cover the costs of repairing his bar, sets fire to it; however, Carl points out that he has not insured the place yet. Later, at the Simpson house, Marge burns the weight set in the furnace (despite being metal) as the show ends. Homer asks if Marge is ready for a "real workout" which turns out to be a request to wax the car. 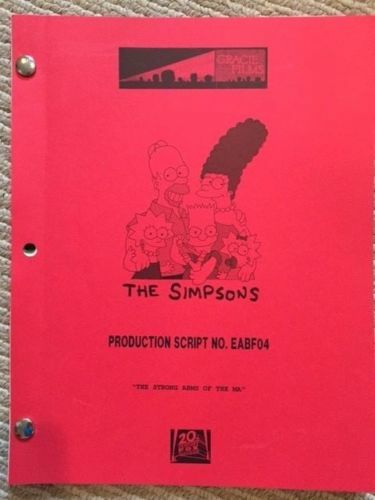 "The Strong Arms of the Ma" was the 300th Simpsons episode to be produced, although it was the 298th aired. The 100th episode produced was "Sweet Seymour Skinner's Baadasssss Song" and the 200th was "Trash of the Titans". 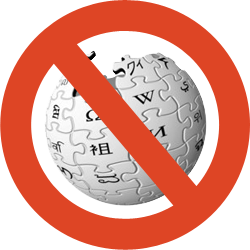 Modified on November 20, 2017, at 21:58.